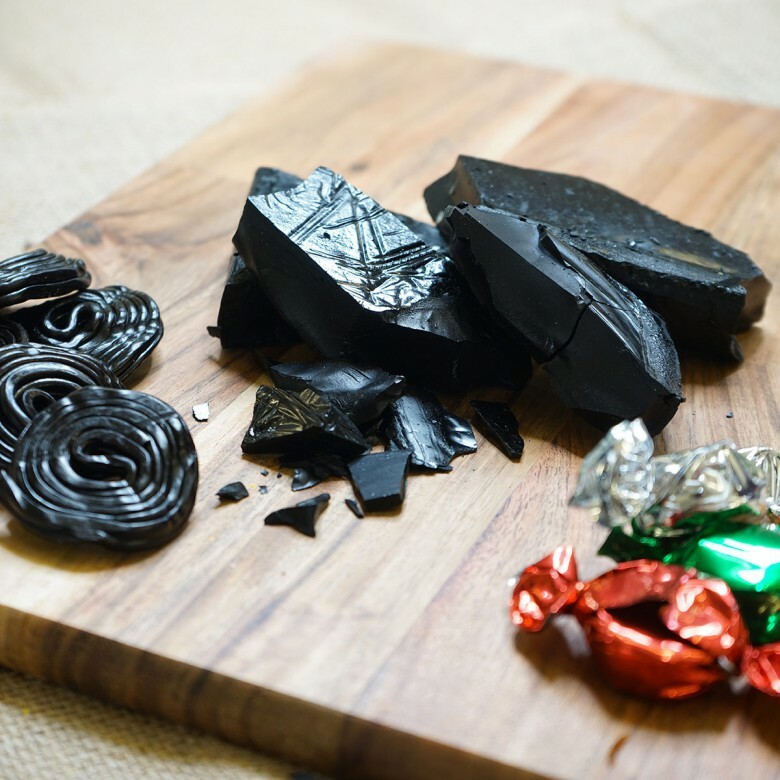 Liquorice Toffee – If you look up the phrase Liquorice Toffee in the dictionary, at the side it should say 'see Johnson's Toffees'. Being less than one mile from the birthplace of this world famous flavour that is liquorice, this is one of our favourite flavours made using real liquorice. When our toffee starts to melt inside your mouth it gives off the unique taste of liquorice while retaining the creamy milky taste of toffee. Sneaky toffee thieves be warned after tasting our liquorice toffee you often lick your lips leaving the incriminating colour of the black liquorice all over your lips... caught in the act! Ingredients list: sugar, MILK, glucose syrup, palm oil, butter, salt, lecithin, Liquorice, flavouring, E122, E142, E102. Liquorice Toffee is available in two sizes; a 150 gram bag or a 450 gram box.